SS day, ES turned up from the projected low of 903 and did the FTSE from 4250, if a higher bottom is put in tomorrow, we could get a decent rally on a Buy Day, as most the decline has been done. Today was a SS day. We knew we had good odds of making it to the Buy day low. 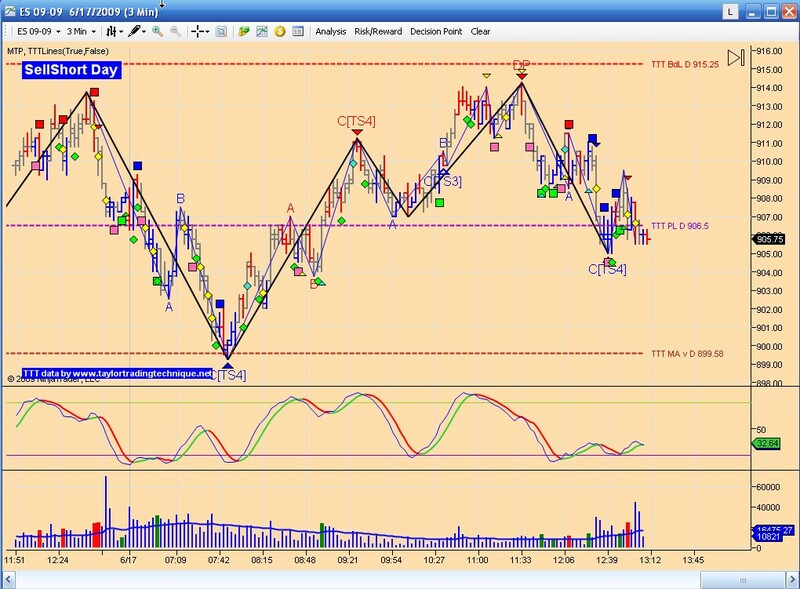 ES reversed at TTT levels and we had a TS4 signal to help together with divergence. ES then rallied and nearly made it back to the Buy day Low. Certainly, his understanding of Taylor method is second to none. Buy Day today, Dax rebounded from my projected decline level around 4767, good long. As usual, I got no TS4 signal here on any eMini chart on TS addon or MTP 6, even with all filters off. I am running an old version of MTP on Ninja so that could be why.